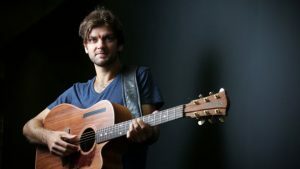 Here are some things the critics say about a man who first unveiled his talent at the Cobargo Folk Festival: “Daniel Champagne is a crossroads. Fusing the strong traditions of Blues, Folk and other roots art with pop showmanship and admirable lyrical ability. I firmly believe that he will become an ambassador for roots music in a time where it desperately needs representation. The word Prodigy seems to entirely fall short of this soft-spoken young man’s skills, he coaxes sounds and melodies out of his instrument that literally drop jaws.” The Calgary Herald, Canada” “Today I saw the future of Folk – Festival goers flocking in their thousands towards the main stage to witness a young musical phenomenon from Australia dish out an absolute show-stopper.” The Firefly Column, USA. Make sure you see him and make up your own mind.